Posted April 27, 2017 by The Rapid & filed under News. Everyone loves casual Friday. So why not take it a step further with Casual Commute Day? Make a plan for next Friday, May 5, take a day off from driving alone. Pledge to hop on board a bus, carpool, walk or bike to work and reduce your carbon footprint! By signing up, you’ll be registered to win one of many great prizes from local sponsors. – Go the extra mile and log your casual commute on West Michigan Rideshare to be entered into a separate drawing for a $100 gift card! – Public transportation is reducing emissions of carbon monoxide (CO) by nearly 745,000 tons annually. This equals nearly 75 percent of the CO emissions by all U.S. chemical manufacturers. 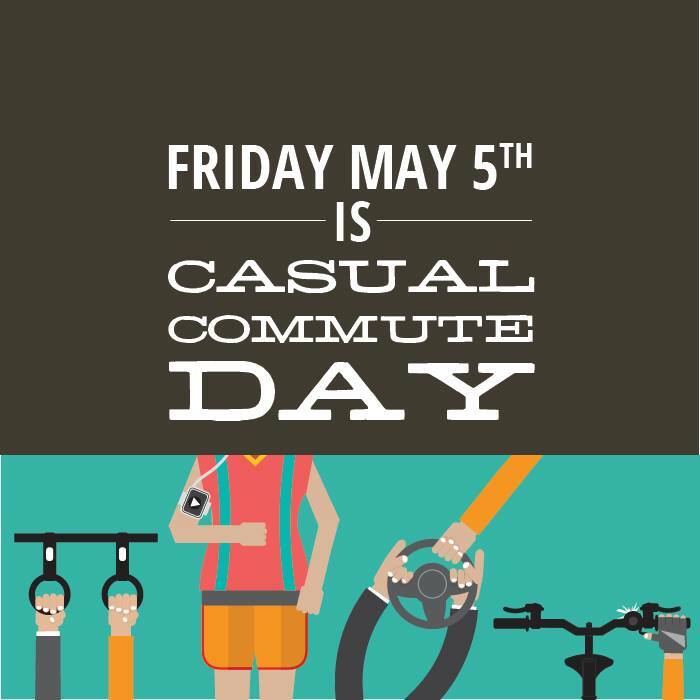 Sign up for Casual Commute Day!